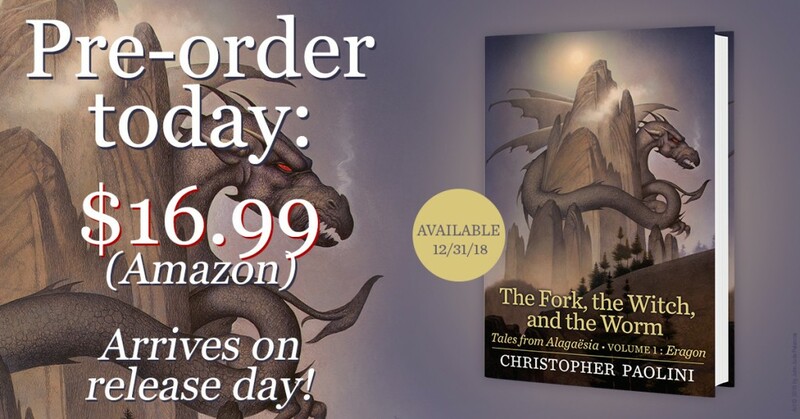 Today, Christopher Paolini has announced his return to Alagaësia! 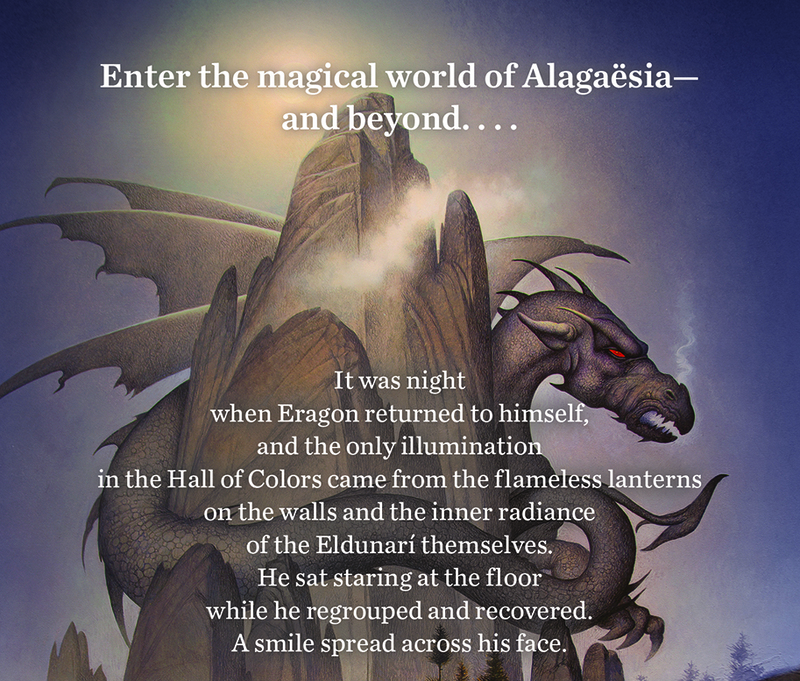 The Fork, the Witch, and the Worm – Tales from Alagaësia (Volume 1: Eragon) is the author’s first foray into the world of Alagaësia since the release of Inheritance in 2011. And boy is it one heck of a return! 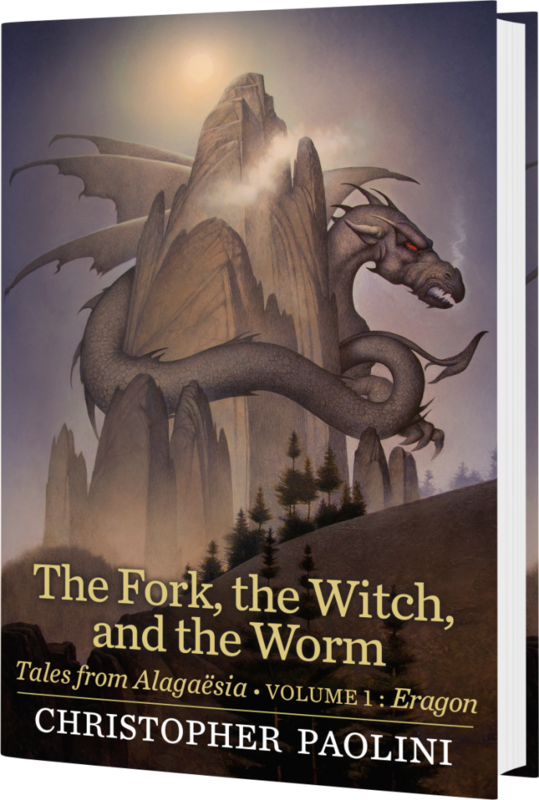 This is no small book – available in hardcover, The Fork, the Witch, and the Worm is 288 pages long, a little over half the length of Eragon. In addition to the short stories and narration from Eragon, Christopher has created four incredible pieces of original artwork found within the book – an illustration to accompany each story as well as a new map! 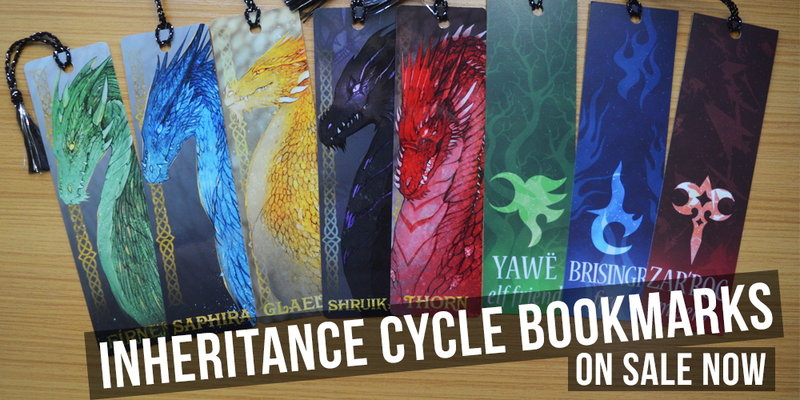 John Jude Palencar, the longtime Inheritance Cycle cover illustrator, returned to create the stunning cover artwork. This new addition to Alagaësia is not the Book 5 Christopher Paolini has stated he plans to write. Head over to our Book 5 page to find out everything we know about the book! We’ll have more to share as we begin to unravel the clues and mysteries found within the book synopsis and artwork! Stick around… it’s going to be a wild ride!